MidWeek Worship Returns Tomorrow, August 14th! Join us tomorrow night for a special time of worship! We will be hearing from some middle, high school, and college students who experienced God in incredible ways this summer. Come be encouraged and inspired by the stories of these young people who have been radically changed by the transforming love of Christ. We'd like to extend a special invitation to parents, teachers and students! You don't want to miss this! Join us at 6:30 PM. Last Madness This Thursday, August 8th! Calling all students! This is the LAST Madness of the summer! Don't miss it! Join us this Thursday, August 15th at 7 PM at the French Broad Community Center! Invite a friend and come ready for some end-of-the-summer fun! Last Week of Garden Gathering and Distribution! This is your last week to lend a hand in the BCC Community Garden! Tonight, August 13th, at 5 PM we will be cutting okra and digging potatoes. Friday, August 16th at 5 PM, we will be digging potatoes, picking tomatoes and peppers, and cutting okra. Saturday, September 7th will be the last community distribution from 9:00 a.m. - 11 a.m. Join us to celebrate a bountiful and blessed harvest season! New Series Starting This Sunday, August 18th! Join us this Sunday at 9:30 or 11 a.m. for a new series looking at what it means to go on mission as a church! We are called to a mission and purpose on this earth and we at Brevard Community Church are setting out to pursue intimacy with God, fellowship with insiders and influence with outsiders. Come join us as we dig into God's Word to see what it really means to be a follower of Him! 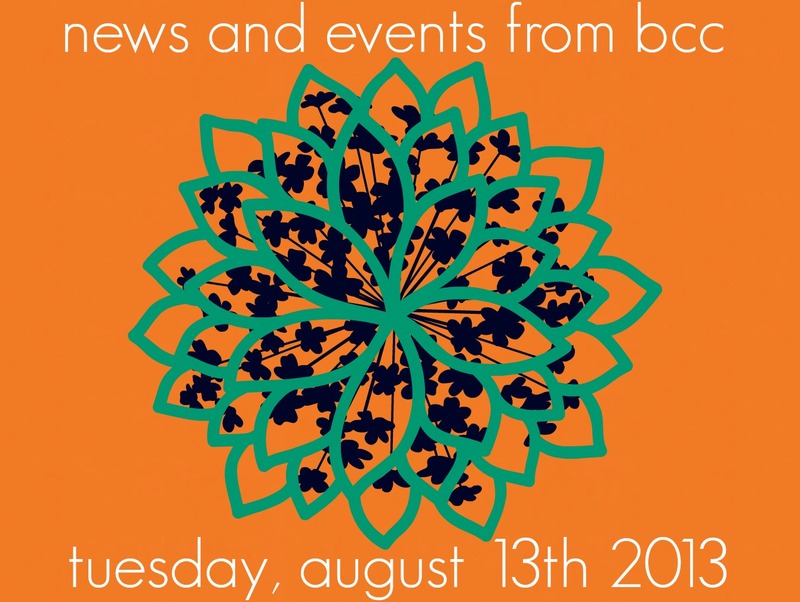 Blood Drive at BCC This Monday, August 19th! Every 2 seconds, someone in the US needs blood - that's more than 44,000 donations needed every day! You can be one of those donors serving those in need on Monday, August 9th from 3-8 PM! Sign up in the back of the Worship Center this Sunday or contact Paula Piercy at (828)553-1272 or bobbynpaula@comporium.net. End of Summer Baptism and Picnic Next Wednesday, August 21st! Join us next for one of our favorite summer events at BCC - our end of summer baptism and picnic in the forest! Come celebrate as we rally around believers who want to make their faith known in the river at Sycamore Flats! What an incredible time of fellowship and celebration of changed lives! The picnic starts at 5 PM and the Baptism starts at 6:30. If you are interested in being baptized, contact Bre at (828)884-5932.